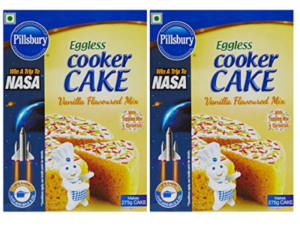 Prepare tasty cakes yourself with Pillsbury Eggless Cooker Cake Mix, Vanilla, 159g (Pack of 2). All you have to do is to add milk and oil to prepare your own delicious cake along with this Mix. Buy the product worth Rs.190 at Rs.99 only at Amazon.